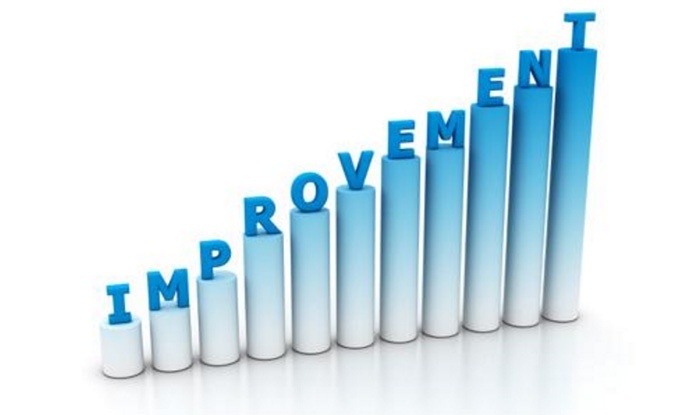 How Can a BPM System Help Me Achieve Continuous Improvement? Companies implement Business Process Management (BPM) systems for many reasons. Whether the sole purpose is to demonstrate compliance to regulation and standardisation authorities (such as ISO9001, ISO14001, Sarbanes Oxley…) or to completely overhaul the business’s quality manual - there is no doubt that your business will improve by completing these objectives. 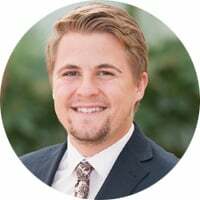 In this article we will focus on how the implementation of a BPM system can enable you to achieve continuous improvement in a consistent, incremental manner. One way in which a BPM system can enable you to achieve continuous improvement is in the collection and use of process related data. ISO’s definition of a process is 'a set of interrelated or interacting activities that transforms inputs into outputs'. If you process map according to this definition, you will use shapes for each activity that takes place throughout your organisation. Why stop there? Triaster highly advocates storing data behind each of these shapes, to add value to the process maps. 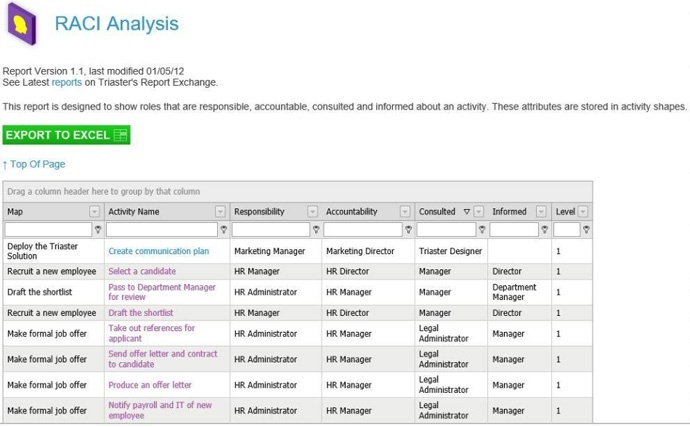 Your BPM system should allow for easy capture of data behind the shapes, and quick reporting to retrieve the data. The capturing, sharing and reporting on this data can really accelerate continuous improvement. Below are a few examples showing how. 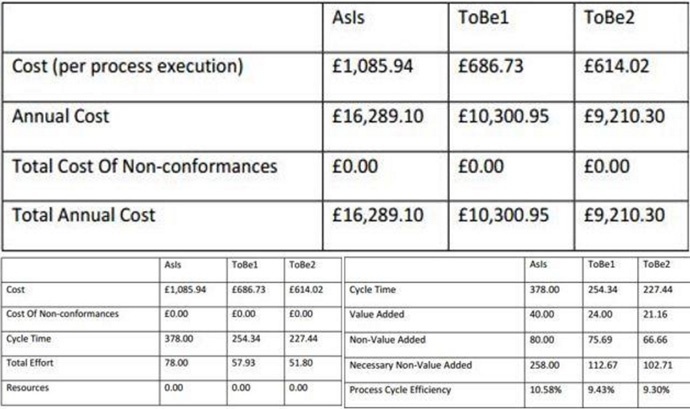 Take a look here at how to model time, effort and cost data into process maps. With the ability to quickly and easily cost a process, you can start looking at where in the process there is excess cost and at ways to improve the process to reduce cost. Most BPM systems also allow for easy capturing and sharing of RACI data (Responsible, Accountable, Consulted and Informed). It is then clear who throughout the business should be carrying out what task, who should be held accountable in the event of a process failure and anybody who needs to be consulted or informed. This is very useful for new starters, as well as current employees. The RACI matrix behind your process maps can be built in to your induction process. This will set new starters on the way to getting things right first time. Identifying risks throughout your business’s end to end processes is extremely important, not only for Continuous improvement, but for the survival of your business. Therefore recording and reporting on where those risks exist at an activity level is key. Furthermore, visually representing risk on your process maps, alerts your end users of the risks of deviating from the agreed process. 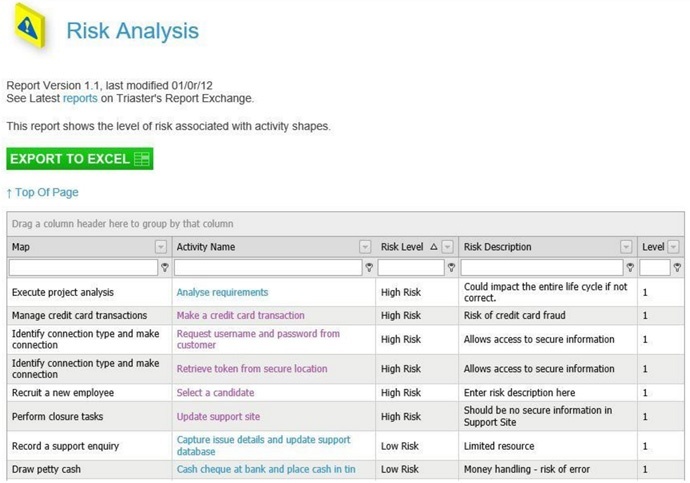 Triaster’s BPM platform enables users to report on all risks within the business, and sort them according to severity. The highest risk is a great start point for a continuous improvement around risk mitigation and business continuity. Understanding the systems used throughout a business is key to business improvement. Understanding how many different systems the business is using, and at which point and for what purpose. This is really helpful for continuous improvement as it both highlights any duplications - so that you can start to think about the potential for combining systems, eliminate redundant systems or if there is a requirement for a new system – and shows the processes that will be impacted if a system is updated, replaced or scrapped. At Triaster, we are all about sharing accurate knowledge, which enables an entire organisation to get things done right first time. We believe that within a few clicks of a mouse, an employee should be able to be embedded within a process, along with all the supporting information they need to correctly and accurately carry out their job. An easy to navigate BPM system gives employees the foundation to excel. Click here for some great advice on continuous business improvement. Triaster regularly hold free 30 minute webinars covering how the Triaster Platform delivers costs reduction, efficiency gains and quality improvements. If you would like to learn more about this, please do attend the next one. Business Process Modelling: How can I model time, effort and cost data in my process maps? Inconsistent working: How can I get people to work consistently?